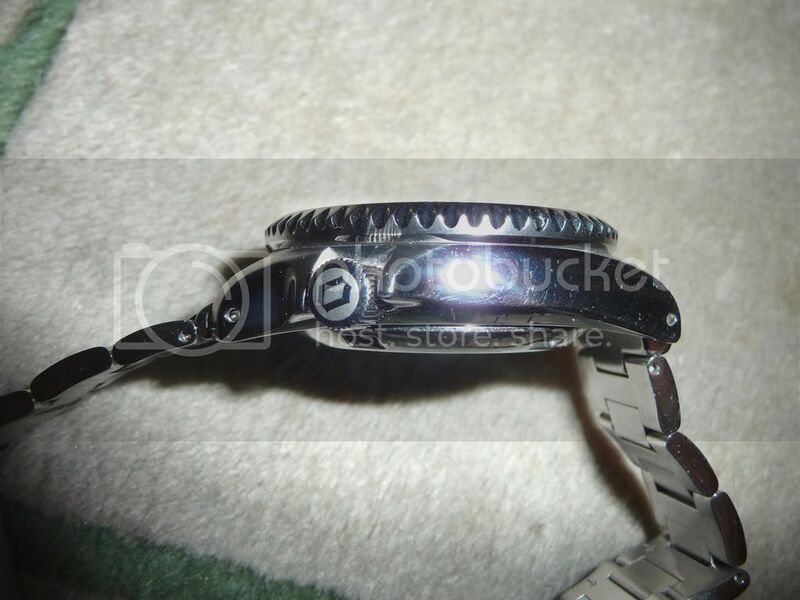 This is a watch I looked long and hard at before buying. 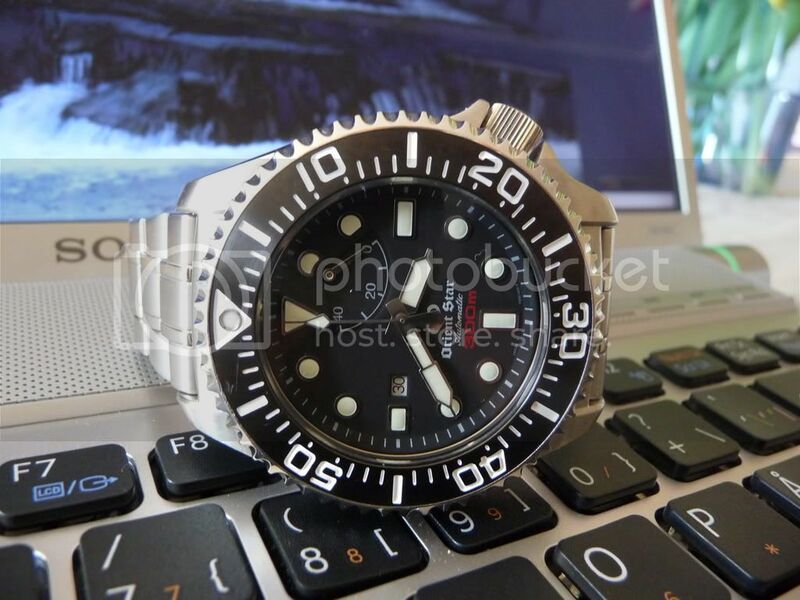 For me the rather avantgarde look with power reserve and datewindow at 9 o´clock took a lot of getting used to. When the chance came for buying one I didn´t hesitate though. I bought it from the original owner LNIB and judging from the serial no it´s from august 2006. I´ve never looked back. It comes in a doublebox with a nice satin feel to it. 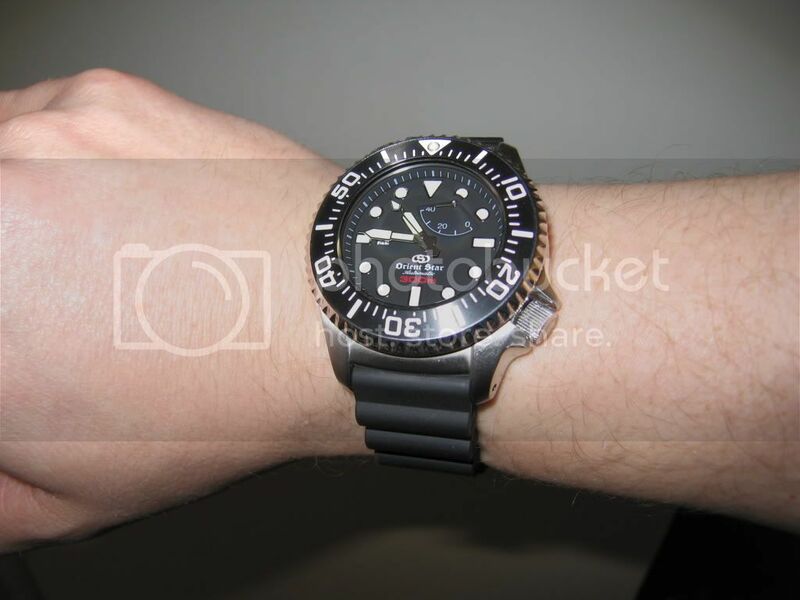 The watch is massive and at first I was considering if I´d made a mistake. But after awhile I got used to the size, but sadly not without some accidents. So it´s a good thing the crystal is sapphire, and thick too boot, 5,5 mm, according to sources on different forums. As I mentioned earlier it took a while before I really liked the dial. Now I can´t imagine it any other way. It is very easy reading the time, which for me is most important. I´m also addicted to the power reserve complication. It´s a great way of to see how much time there is left. The date window could be a bit larger but that´s minor stuff. 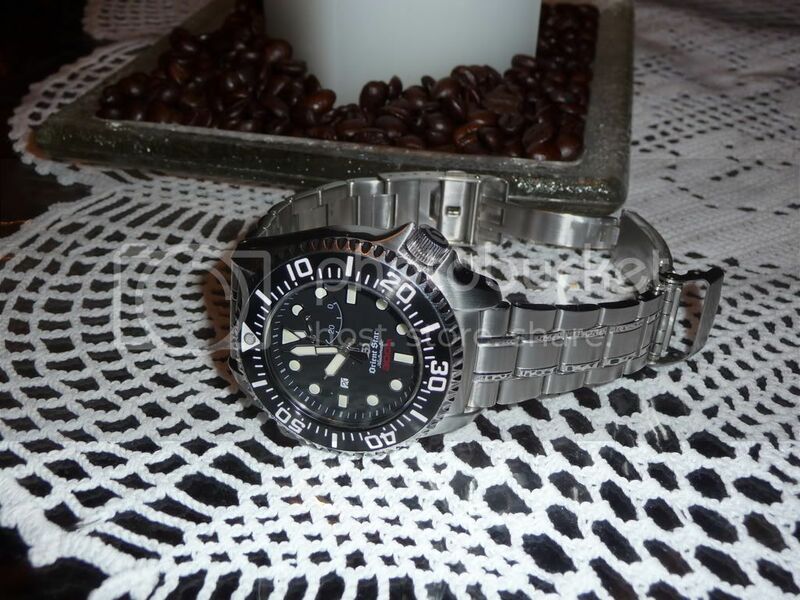 In the future I´ve promised myself to get a diving license now that I have two diver watches. 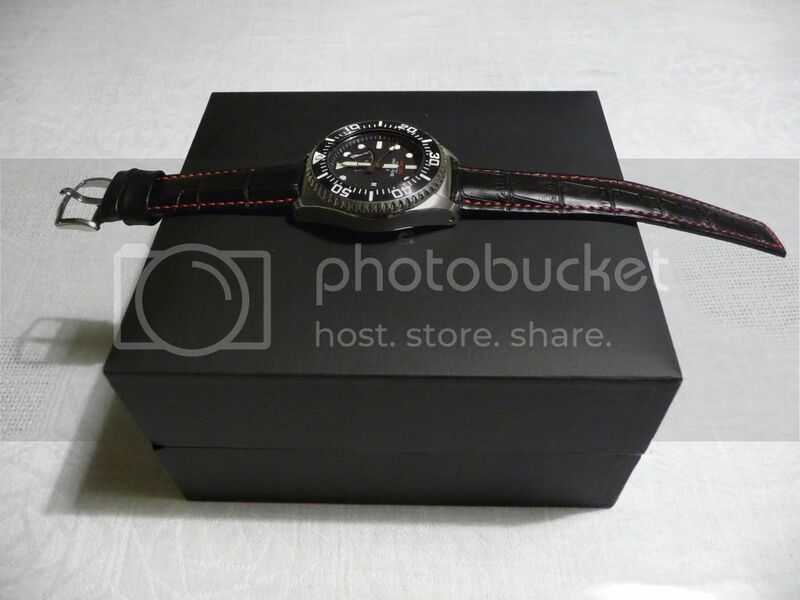 The casework is nice, even though my Omega Seamaster has a tiny bit better finish. It´s cool with the lugholes. Gives it a “tooly” look. The crown is located at 4 o´clock and is supernice! I just love the look of it. It´s large and very grippy. The best thing is that the action is very smooth. A lot better than my SMP! The case back is really nicely done, very intricate. Attention to detail comes to mind. The original bracelet is pretty good, but somewhat thin. 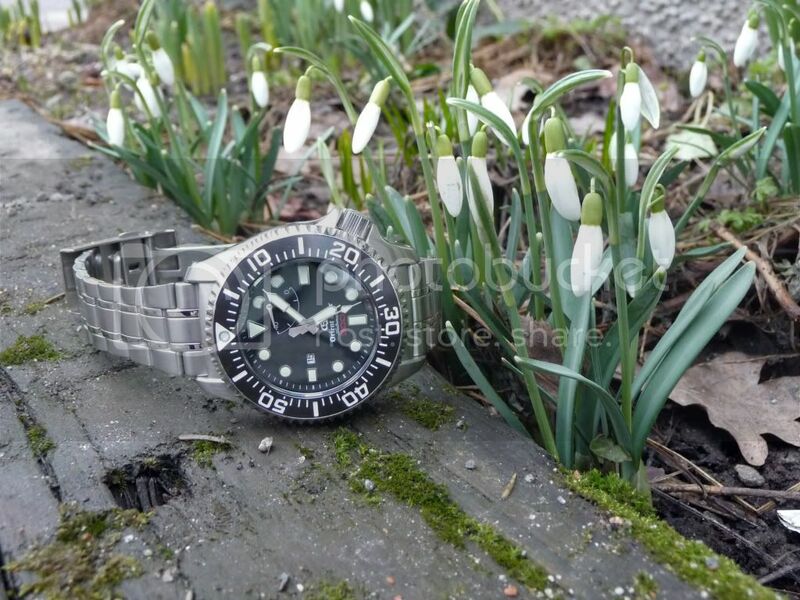 It´s not really on par with the watch. It also has the divers extension with a ratcheting system. 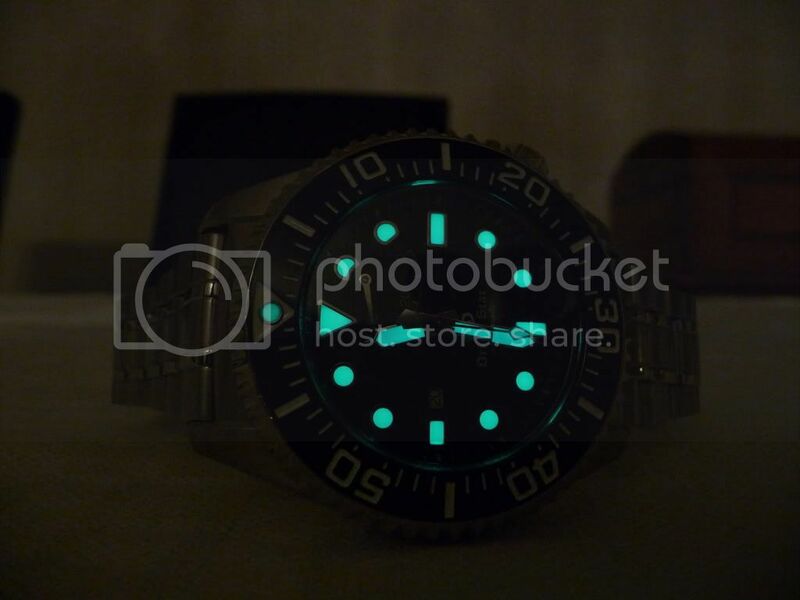 Kind of cool but it releases very easily when putting on the watch. My SMP has a better bracelet/clasp. 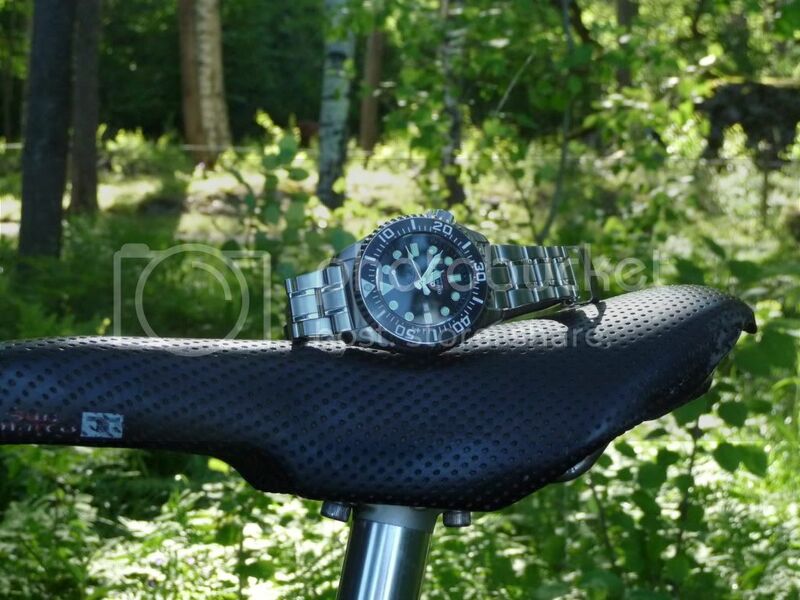 In the future I´ll probably buy a watchadoo as pictures of the pairing really looks neat (and heavy). 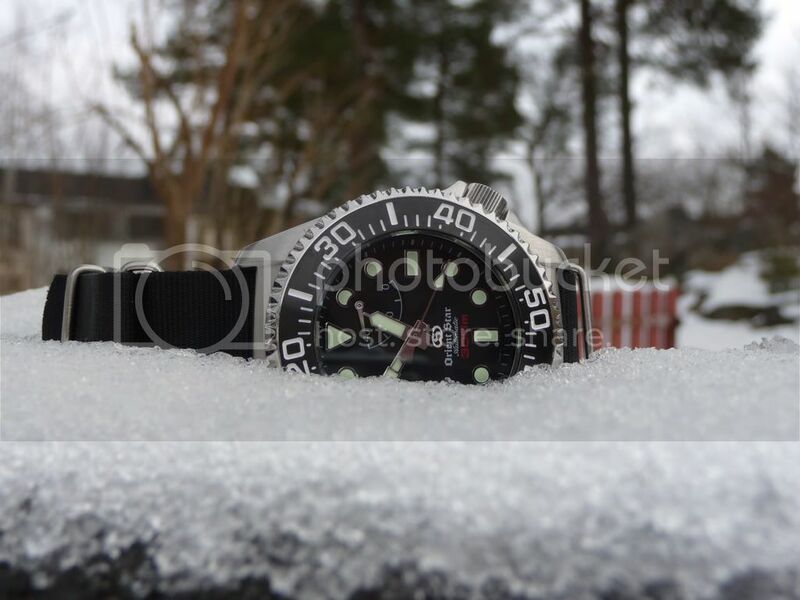 For me it´s best on Nato as it really hugs the wrist. I have only had it on the supplied rubberstrap and that was ok.
I´m about to buy a leatherstrap next and we´ll see how that fits. Updated with a Hirsch Grand Duke. And if you wonder, my wrist is about 7,8 inches. The calibre is non-hack/wind. To be fair, this is the only thing this calibre is lacking. I don´t really miss winding since it winds up superfast. And I mean fast! Someone said a good brush of your teeth will do and your ready to go. Had to try that one! After a couple of minutes the PR was on 25 hours, pretty neat, huh? But non-hacking really sux. I know you can put pressure on it, and I do so if I need to. But it still sux. The only real improvement needed with this watch would be hacking. - Crown down, one week with constant use except for 9-10 hours off at night, + 66 s.
- Crown up, one week with constant use except for 9-10 hours off at night, + 68 s.
- Dial up, one week with constant use except for 9-10 hours off at night, + 127 s.
- Crown down, one week with constant use except for 9-10 hours off at night, + 33 s.
I´ve worn the watch for four weeks now, and it´s still pretty accurate. I have on the nightstand alternating crown down and crown up every other night. If you leave it resting in different positions you´ll probably have really great accuracy in the long run. It´s probably safe to say the watch is consistently inconsistent. Much like my SMP after a while it can suddenly run slow. But it really keeps good time so in this respect I´m really pleased. The conclusion is that for me this is a great watch, with great looks and allows for great accuracy, which for me is really important. I know many people think it costs way too much money for an Orient with a non-hack/wind calibre. If you can look past those hindrances it´s a fabulous watch with great presence on the wrist. The OS 300 really rocks and is for me the perfect beater. And it´s a real plus that it goes so well with all kinds of bracelets/straps. I want to thank Alphonse for giving me courage buying one and also thank Hans for giving me the opportunity in buying it. 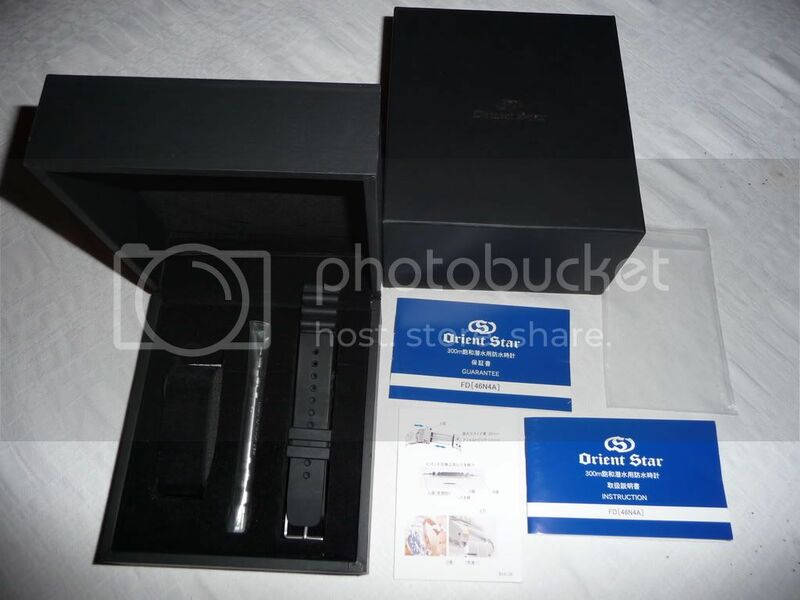 Nice watch and great review! I like it best on the rubber dive strap! Congrats! Jan.. Do you mind, I add some more pictures of OS 300 in your review ?